I am a native to Illinois, being born in Oak Park. It has long been my dream to have an office in a small town, overlooking the Mississippi river. When I was younger, my dad was transferred with Motorola to Nogales, Arizona, which took us away from IL. We lived in a very small town, Rio Rico, which was located 12 miles north of the Mexican border. Rio Rico was a nice place at the time, very safe, where we kids could go outside and play. All of us went to one school in Tubac, AZ, and then Calabasas, AZ. After going to High School at a small school called Sahuarita, I attended the University of Arizona and earned a degree in Business Administration. Halfway through my schooling in Tucson, I decided to go into health care. After visiting the Davenport campus of Palmer College of Chiropractic, I was committed to moving to the Quad Cities. My time at Palmer College was very rewarding. I focused on manual adjustment procedures, sports injury treatment and even some of the more fringe techniques such as Activator. I feel that my best skill is my manual adjusting. During my time at Palmer, we would take our boat out on the Mississippi and throw down the anchor, usually in the slough at Campbell's Island and I would study my materials. This gave me a great appreciation for the river. We still have that old boat, a 1969 Starcraft (avocodo green), and can often be seen cruising between LeClaire and Princeton Beach. While at Chiropractic school, I volunteered with the Boy Scouts of America, Our Lady of Victory Catholic Church in Davenport. This was a wonderful and rewarding experience, and is actually the decision that landed me here in Port Byron today. Come in and I will tell you the story. While at Chiropractic school, my wife Deb taught at Bettendorf Middle School. She loved her job, and we both continued to become well integrated in the Quad Cities. Even though we had become attached to the community, we had originally intended to return to Arizona for me to practice Chiropractic, and had already purchased a house in Glendale (Phoenix). But ultimately, we were very saddened to be leaving the Quad Cities. I initially practiced in Southwest Phoenix, in a Mexican neighborhood, and refined my Spanish skills while practicing Chiropractic, and am now virtually bilingual. I worked there for just under 2 years, and then had an opportunity to start a practice in Cave Creek, AZ, a north Phoenix suburb. I purchased this Tatum Crossing Chiropractic practice after 18 months, and continued to grow it for 12 years. In 2003, we started to really look back at the Quad Cities, and started visiting our friends here, and vacationing virtually exclusively here. 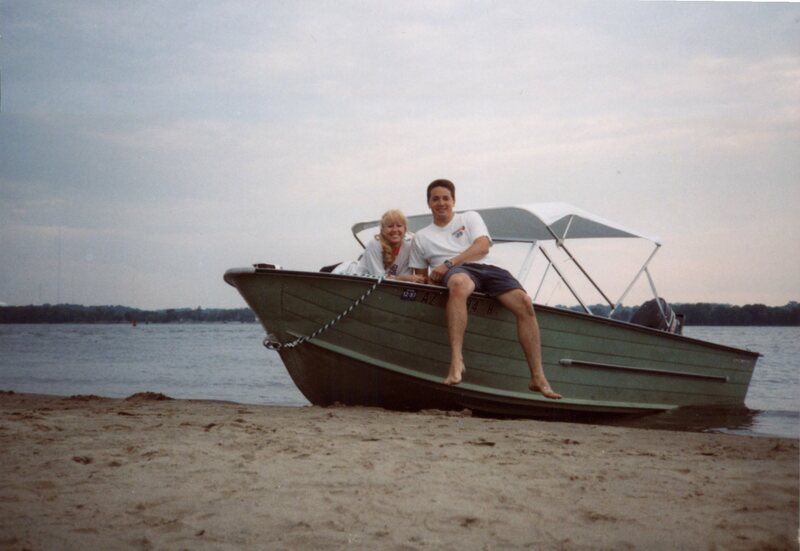 We brought our boat back in 2005 and stored it with friends, and used it whenever we came out. Many people don't consider the Quad Cities to be a vacation destination, but I can assure you that it is. We have waterfront, beaches, great recreational opportunities, and lots of things for kids to do. I started my acupuncture training in 2008 with Dr. John Amaro of the International Academy of Medical Acupuncture. I took and passed the National Board of Chiropractic Examiners Acupuncture examination in the fall of 2008 and have been practicing acupuncture since. I love acupuncture, and am constantly impressed with the range of conditions it can treat. We bought our house in Port Byron in 2009. We were so thrilled to have a place with waterfront. This is practically unheard of in Arizona, unless you would like to live on a water treatment pond. No kidding. In 2012, I was able to sell my practice, and we committed to moving here. Originally I was looking at the property on Main Street near It's On The River, but then thought I might be better able to serve people being on High Street. I was watching the location next to Subway before Steamboat Liquor came in, and then found the Library. I love this building, and have created a very comfortable space here. This is not your typical "doctor's office". I will do my best to help you, and want you to find my office comfortable and inviting. Bring your spouse when you come for your appointment. There are plenty of places to sit, and lots of reading material. After all, the building used to be the library! I am here to serve you. My office hours are Monday-Wednesday and Friday, and the first and third Saturdays each month. However I am always available for you and typically forward my calls to my cell phone when I am not in the office. I often see patients on Thursdays as well. Thank you for welcoming me to Port Byron. I welcome you to my office. ~ Peter Crocker, D.C. "Dr. C"